Originally written and posted by Influence Marketing Council Co-Founder John Mark Troyer on Medium. Passion, purpose, and playfulness are three top qualities of encouraging members of any advocacy program, to guarantee success and positive connection with community. Mark Finnern shares his expertise in bringing out these qualities in both online and face-to-face events. On today’s episode of The Influence Marketing Podcast, we are joined by Mark Finnern, founder of the boutique consultancy Playful Enterprise. 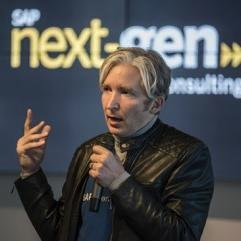 Mark shares how he built the SAP Mentor Program, explains the terminology and ideology behind the concept of an “Enterprise Tribe,” and gives tips on how a company can encourage mentors to highlight and support the community. Finnern discusses bringing passion, purpose, and playfulness into the advocacy program to create deep connection and trust. [1:56] This podcast will show listeners both the business and personal values of advocacy programs, and what does and does not work. [2:06] Enterprise advocacy programs are about taking the people who are the most engaged with your company and community, and interacting with them in a structured and programmatic way that interacts with the rest of the business. [4:14] Mark developed and and ran SAP’s Enterprise Tribe, the SAP Mentors, and the SAP Developer Network, which has three million members. He now brings that knowledge to other organizations as a consultant, and has his own Playful Enterprise program. [6:20] Just the term “advocacy program” can sometimes be too short for all that is possible. The term Enterprise tribe encompasses deep engagement of people from ideation to maintaining shorter feedback cycles as the project continues, so they are proud of what they helped build and develop. [8:17] Mark mentions how Enterprise should be playful, and what led up to people singing a lullaby in front of thousands with no warning when they thought they were just going on stage to accept a T-shirt. Once the attendees got out of their comfort zone, it set the tone for playfulness and created an environment of trust. [13:52] An environment of excellence and aspiration is necessary to succeed. These and other key principles of what makes a successful mentor are listed in the SAP Mentor Magic Foundation Document that Mark developed with his tribe. [27:10] Mark’s Playful Enterprise grew from his discovering how powerful it was to reward people for exceptional community work. [27:35] Top advice: Get executive sponsorship. There will be critiques and you need your boss to help give you support. 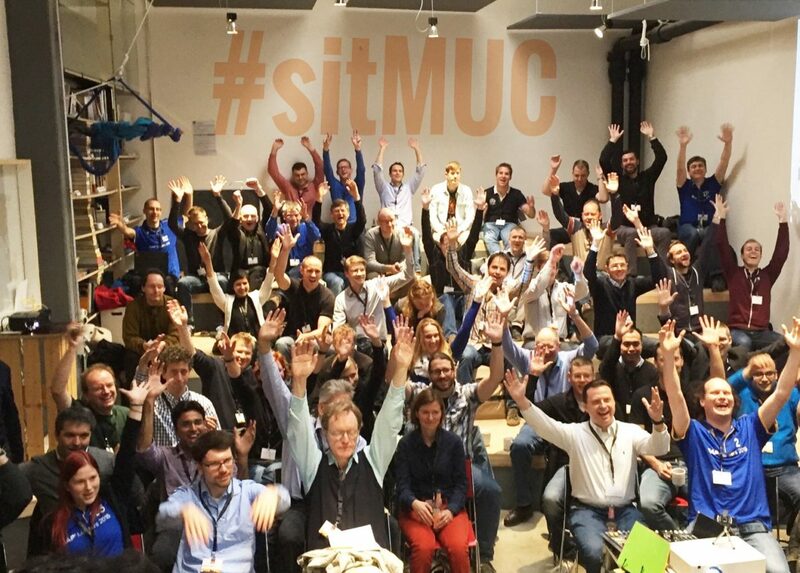 Create a steering committee nominated by support, product, etc. They will help you make sure your tribe is connected to all assets of your company. [31:24] Mark talks about the importance of webinars. [36:22] Mark talks about budget needed to get deep connection and growth within advocacy programs. He also addresses the “velvet rope,” and exclusive element of the tribe, by driving home the fact that their purpose is to help others and encourage connection. [49:40] Mark discusses the powerful and important nature of well-organized community Meetups run by mentors. [55:12] Mark is proud of bringing the community together with things that grow with time, such as Run with the Wolf Pack, in Las Vegas, that started from a fun idea to an official annual run on the Vegas strip, and a band playing on the showroom floor at a “Back to the Future” themed event. As if a magician, Mark Finnern creates communities from thin air around work, ideas, and local playfulness. Recently Mark Finnern founded Playful Enterprise, a boutique consultancy where he brings his “magic” social technology for community to organizations ready to engage their enterprise tribes. Since 2003, Mark has hosted the Future Salon he founded, a get together of a group of eclectic change makers curious about a world that works for all. At TEDx he shared his 5 Ideas on How to Bring All of Our Schools Into 21st Century. Mark also initiated Sandwich and Play, a weekly informal play time of families in the San Mateo Highlands. He also founded and led the San Mateo Highlands Renegade Marching Band to two consecutive best of 4th of July parade wins. While it may seem like a romp at the circus, Mark Finnern’s magic creates the conditions and culture for community to thrive. The Influence Marketing Podcast is brought to you by the Influence Marketing Council, an industry council for B2B brands who innovate in influencer, advocacy, and community marketing. Your hosts, John Mark Troyer and Kathleen Nelson Troyer, are co-founders of the IMC. The Influence Marketing Podcast is part of the research program of the IMC. For more information, go to influencemarketingcouncil.com.